If you’re thinking that making your room dead silence is the perfect way to get a good night sleep, you’re wrong. You may have noticed that it’s easier to doze off to the humming sound of table fan than a quiet surrounding. This is why getting a white noise machine may put an end to a series of sleepless nights. A color appears white because it reflects every single individual color that is visible to the human eye. Similarly, white noise is a sound that is made of every frequency detected by the human ears. To be specific, it consists of tones ranging from 20 Hz to 20,000 Hz. You can think of white noise as similar to a TV which is not tuned to any channel or a table fan that is blowing in your face. The constant buzzing and humming sound will draw your mind to it. White noise overwhelms other audio distractions. Besides the white noise, sound machines are also known to produce pink noise and brown noise, which also promote sleep. While white noise is made of a sound that is evenly spread over the entire audible spectrum, pink noise has a higher amplitude at the lower frequencies and softer on the higher range. Meanwhile, brown noise has a deeper tone than pink noise and it omits some of the higher frequency tones. To produce white noise consistently, you’ll need a white noise machine. A white noise machine is a piece of electronic device that emits repetitive, meaningless sound from the entire range of audible frequency. For light sleepers, white noise provides a background sound that masks other audio distractions from disturbing their sleep. For instance, you wouldn’t be disrupted by your partner snoring with the white noise machine turned on. This is important so that you remain in deep sleep and benefits form the rejuvenating effect of it. A clinical study involving patients in a critical care unit shows the effectiveness of white noise in masking out distractions and improve sleep quality. It’s not only adults who benefit from white noise but babies and children as well. Most people have the misconception that a quiet environment helps babies to fall asleep quickly. But they only realize how wrong the statement is when the babies start crying out restlessly because they are tired and grumpy. 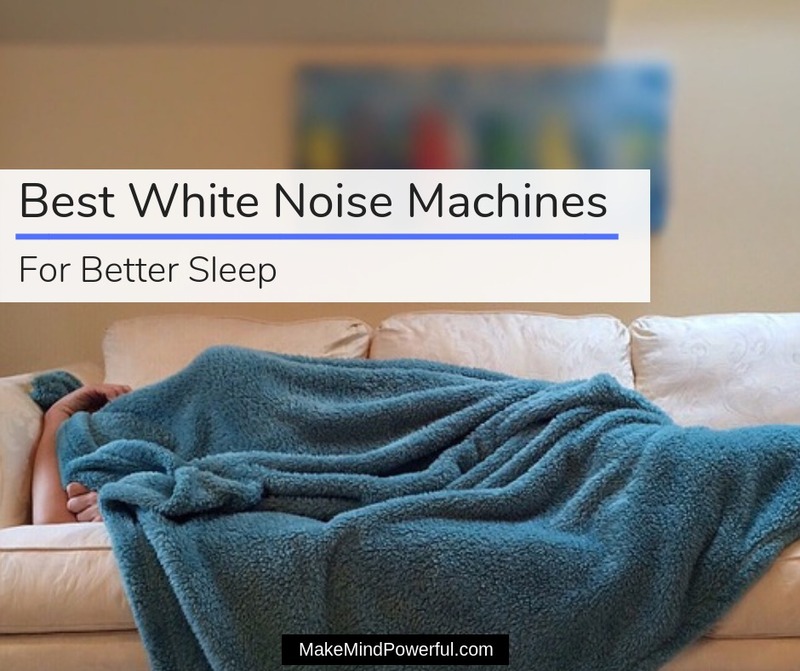 White noise machines produce an almost similar environment to the womb where the babies spent weeks listening to the noises caused by amniotic fluid, digestion, and other movements in the womb. This is proven in a clinical study where 80% of newborn babies fell asleep within 5 minutes with white noise. The tendency to fall asleep with white noise is also true for adults as well. 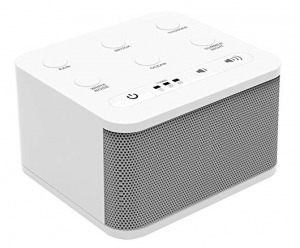 If you’re one who struggles to sleep in a perfectly quiet setting, and yet falls asleep easily while commuting, a white noise machine will be the best bedtime companion. White noise is not all about getting better sleep. Turning on a white noise machine can benefit you in these aspects. Calms Your Mind – Have you ever took a stroll along the beach and have the sounds of crashing waves soothe your mind? White noise can create a similar effect and is helpful for people with anxiety. A study conducted in operating theatre indicates that white noise may reduce anxiety level in patients. Improves Memory – White noise is also linked to improved long-term memory, according to a study published by researchers of University Medical Center Hamburg-Eppendorf. Participants who are exposed to an ‘sh’ sound memorizes images better compared to the control group. Help With Tinnitus – Tinnitus is a condition where sufferers experience ringing in the ear. Turning on a white noise machine can drown the ringing and allows the individual to sleep easily. As much as the benefits you could get from white noise machines, you want to use it with care, especially for babies. Use white noise machine only as required and avoid long-term exposure of white noise to children. Prolonged exposure may be harmful to babies who are at risk of learning disorder. Adults using white noise machines need to be cautious about not setting the volume to an extreme level. White noise, or not, excessive loud audio can increase stress and causes hearing problems. White noise may also mask underlying tinnitus problem that may be a symptom of other complications like high blood pressure. You’ll want to choose a white noise machine with care, as you don’t want to invest in one that has no effect, or worse, aggravating your sleep issues. Here are what you should consider when buying a white noise machine. Sound Type – White noise machines are usually equipped with ambient sounds like waves, rainfall or forest. But some individuals may sleep better with traditional white noise which is meaningless, and continuous. Mobility – If you are constantly traveling and depends on white noise to fall asleep, you’ll want to get a unit that is designed for mobility. Power Source – Having an optional battery power is great, if you’re planning to use it on-the-go. Timer – While more studies are needed to investigate the long-term effect of white noise exposure, having a built-in timer is great for turning off the white noise after a period of time. Warranty – Some white noise generators are covered by a manufacturer warranty that offers you the peace of mind when buying. Choosing the right white noise machines may take a while, considering that there are more than a dozen different products available. I’ve handpicked some of the best rated white noise machines to narrow down your choice. This white noise machine from Big Red Rooster features 6 high-quality sounds inspired by nature. You could choose from a selection of rain, brook, ocean, thunder, and summer night or the traditional white noise to lull you into slumber. With the white noise masking out external distractions, such like cats squabbling in the middle of the night, you’ll be able to get the much-needed sleep and wake up feeling rejuvenated. The ambiance sound is carefully created that you won’t be interrupted with any unwanted bird chirping sounds. Some individuals find it helpful by leaving the machine turned on all night while others prefer to turn it off automatically after falling asleep. The machine is equipped with a timer that can be set for 15, 30, or 60 minutes. Measuring 4″ x 4.4″ x 2.6″, the white noise machine can be easily carried along easily when traveling. It is also ideal to be used in the office to help you in concentrating. You’ll have the option of powering the machine from the AC adaptor, or by batteries. Effective in masking noise and promotes sleep. Some customers received faulty units. 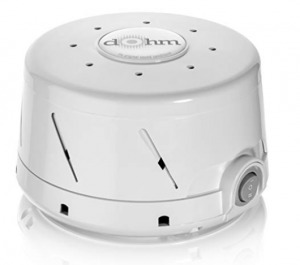 If you prefer the conventional hum of a fan without the air blowing right in your face, this Marpac Dohm classic white noise machine is a great choice. It is designed with an asymmetrical fan that generates soothing sound through the acoustic housing. The fan is driven by a dual speed motor and you can select the ideal speed that you’re comfortable with. The enclosure can also be rotated to seek the tone that’s just right for your bedtime. Once you’ve found the perfect match, the sound will mask external disturbances and pleasant for the ear. The machine is made to be user-friendly. All you need to do is to plug the machine to a power socket and choose the desired volume. If you’re sleeping with unbearable loud noises, such as chairs screeching from neighbors, you’ll want to flip to high volume. Otherwise, choosing low will suffice for most environments. You wouldn’t want to go knocking off the machine in the bedroom and the Marpac Dohm Classic is designed to be compact and unobtrusive. Besides placing it in the bedroom, you can also carry it along to work and use the white noise to improve focus. Produces soothing sound of a fan. Helps in masking distractive sounds. Some units failed after a while. 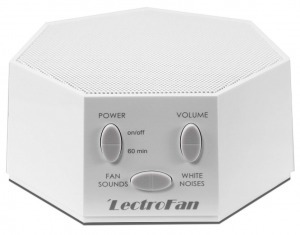 This Lectrofan white noise machine allows you to enjoy sound therapy at home with ten fan sounds and ten ambient noise variations. It’s purely electronics and does not involve any moving parts to generate the fan sound. The ambient sound consists of a choice of white noise, pink noise, and brown noise, to suit your personal comfort. The machine also has a digital volume control that lets you set the right amplitude to enjoy an uninterrupted sleep. The machine has a built-in timer that turns off automatically after 60 minutes when activated. Else, you could sleep with the relaxing white noise until the morning. With no moving parts, the machine relies on a large high fidelity speaker to produce high-quality audio. You won’t get any looping sound that introduces sudden changes in the audio, which may interrupt your sleep. Besides deriving power from AC, the machine can be powered from USB making it an ideal gadget that you can use at work or study, to provide better focus. Provides 10 ambient and 10 fan sounds. High fidelity speaker for quality audio. Some units broke down after a few months. 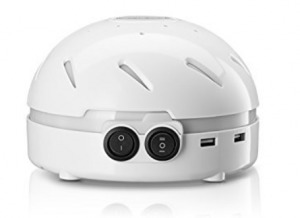 A gadget freak who spends nights counting the sheep will find this white noise machine by Aviantek a gem. Not only it features a modern design, but it also has an array of advanced features that can support your sleep. The machine is built with a total of 20 soothing sounds, including 6 types of white noise, 6 fan sounds and 8 types of sounds derived from the nature. The natural sounds feature ocean waves, rain, wind, stream, birds, crickets, campfire, and clock. You can use the therapeutic sounds like a sleep aid and enjoy uninterrupted sleep. The white noise machine is so versatile that it will serve you equally well for relaxation, study, or work. It has an intelligent timer that can be configured to shut off from 1 to 7 hours. 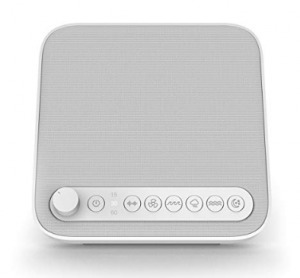 A white noise machine that is overloaded with sounds and features can be rather overwhelming. Aviantek injects a brilliant feature that enables the machine to memorize your current setting. You do not need to adjust the volume, timer or sound the next time you power on the machine. It has a total of 20 soothing sounds. Built-in memory to preserve settings. Drowns of noise and improve sleep quality. Some units stopped working after a few months. Homesickness affects some individuals when they go for travels. If you’re having difficulty to sleep in unfamiliar places, you’ll need this Aurola white noise machine. Measuring only 4.7″ in height, width and 1.1″ in depth, it’s compact build allows it to be placed in your suitcase easily. You can expect soothing nature sounds to emit from its high-quality speaker. There are a total of 14 different sounds to choose from. 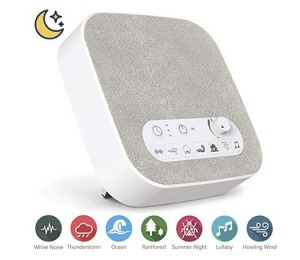 You can choose from a set of 7 soothing, clear sounds or an equivalent number of nature sounds, which includes white noise, howling wind, thunderstorm, ocean wave, rainforest, summer night and lullaby. The machine also features a timer that can be configured to turn off after 30, 60 or 90 minutes of playing. Besides promoting better sleep quality, you’ll also find the machine a great use for work as it allows you to maintain focus. Powering up the machine is done by connecting the AC adaptor to a socket or using a USB plug. The engineers at Aurola also includes a clever design, in the form of a USB output port. It allows you to charge your phone while you’re relaxing with the white noise. 14 soothing sounds to choose from. Compact design, great for travel. Features a USB output charger. This sleep therapy sound machine manufactured by Pure Enrichment is a simple drug-free solution to improve your sleep quality. 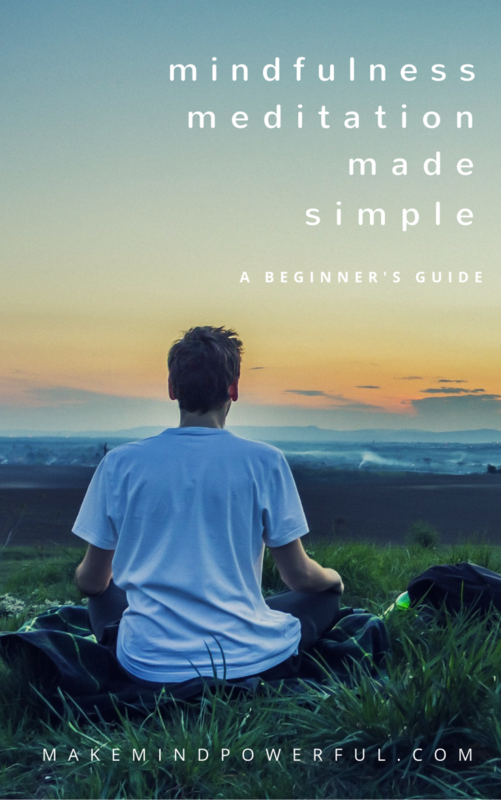 Instead of having dozens of sounds, it only has 6 soothing natural sounds for you to choose from. The sound is made to loop seamlessly. As such, you wouldn’t be noticing any gaps nor unnatural tone that will disrupt your sleep. You can choose between white noise, fan, ocean, rain, stream and summer night to create a distraction-free environment for sleep. Remember to adjust the volume to a suitable level and you can do so with a knob control on the machine. The sound machine also features a USB port where you could charge your mobile phone during bedtime. If you’re traveling abroad, you’ll find that this machine easily fits into your suitcase. 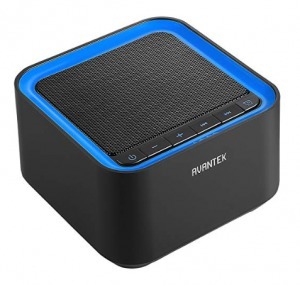 Sporting a compact design, the sound machine is also ideal for workplaces. Turning on the white noise will help you to focus in a noisy environment. Precise volume control with dial knob. Seamless audio with no breaks in looping. Defective units delivered to some customers. 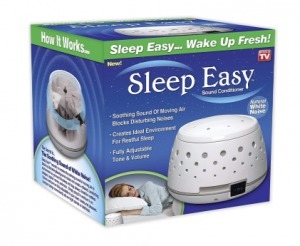 White noise machines are not supposed to be blaring loud and this unit by Sleep Easy is designed to emit the right level of sound. It has a volume control that allows you to raise or lower the volume of white noise to a comfortable level. Besides flexibility in volume control, you can also adjust the tone of the white noise. The sound is generated by a rotating fan that is housed in a specially designed enclosure. It’s a great choice for individuals who have a habit of falling asleep to the sound of air. The simplicity of the machine extends to its usage. You’ll just need to plug it to the nearest power socket and turn on the power. The fan will start rotating and drown out surrounding noises. It is engineered to be compact and has no problem resting on your nightstands. Natural white noise by rotating fan. Adjustable volume and tone control. You can stop the irritating noises of cats fighting or dogs barking by placing the HemingWeigh sound machine in your room. It produces a uniform sound by real airflow generated by an internal fan. The white noise produced will mask any unwanted disturbance as you sleep. The machine itself is designed in with modern aesthetic features and of superior quality. It is easy to use and compact that you can place it easily on a nightstand. You’ll have the option of a low and high volume of white noise which activates different speed of the fan. The top of the unit can also be turned to adjust the tone of the sound. Besides getting a restful sleep, you can also use the white noise machine in other areas. It makes a perfect fit for the office to enable focus amid surrounding chatters. The machine can also be used effectively for general relaxation purpose. The manufacturer has also included a couple of useful features into the machine. It has a built-in LED night light with an individual power switch. It helps when you woke up at night and need a light to lit your way. The machine also has a USB port that you could charge your devices with. Natural white noise from the air flow. Features LED night light and USB Port. Some units failed after a few months. The Snooz white noise machine is one that’s perfect for individuals who prefer the convenience of an app. It has its own app that works on both iPhone and Android that can be used to turn on/off, set the timer, activate the night light and calibrate the machine to protect baby’s ear. The white noise is generated by an actual fan in the unit. It produces a sound that is peaceful and non-looping, so you don’t get jolted from your sleep or concentration suddenly. The machine offers two volume, high or low to suit your surrounding noise. You’ll also have the ability to change the tone of the sound by adjusting the outer shell of the machine. On one end, you’ll have a light fan sound while you’ll get a deep fan drone towards the other extreme. Get your preferred sound and you’ll enjoy a night of sleep masking out other noises. This sound machine may not have an automatic timer, but it is designed to be extremely energy-friendly. It uses an ultra-efficient DC motor which results in consuming 98% less energy than the average fan box. With its sleek and compact design, it’s ideal for travel. Natural white noise from a fan. Great for helping individuals to sleep. Some customers felt the volume is not high enough. What’s better than the humming sound of white noise for a deep sleep? It’s the extra touch of aromatherapy that calms your mind. 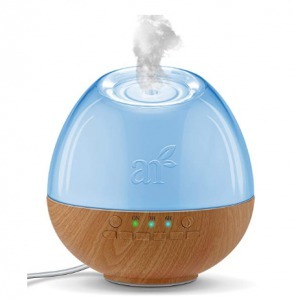 ArtNaturals puts two of the best sleep aid into a single unit of sound machine and essential oil diffuser. The sound machine produces 6 nature sounds to mask irritating surrounding noises like dogs barking or the occasional bike that races down the street. Meanwhile, the diffusers send essential oils like lavender and chamomile into your room, lulling you into slumber. The diffuser is driven by the ultrasonic technology, which preserves the healing properties of the essential oil. It is powerful enough to be used in larger rooms. The machine also has a built-in soft LED lights to create a calming ambiance. You don’t have to worry about leaving the diffuser on when you sleep. It has an intelligent feature that turns off itself when the tank is empty. The combination of white noise and aromatherapy is bound to provide you the best sleeping experience. 6 nature sounds to choose from. Also functions as an essential oil diffuser. 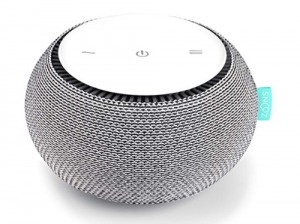 Some white noise machines are probably not the cheapest gadget that you’ll expect. Are there any alternatives besides having a sound machine? Thankfully, yes. Here are some ideas you could try, but expect some disadvantages. Sleeping with a fan directed to you. I once did this, and it’s quite effective. Except you may catch colds easily due to the constant cold wind from the fan. Install a white noise generator app on your phone. Well, it’s going to drain the phone’s battery while you sleep. Earplugs – They’re cheap and easy to put on. Getting the right one helps to keep external sound muffled. But using earplugs is known to carry health risks like tinnitus and hearing loss. Either way, I hope you’ve found an effective way to get you to enjoy a deep and uninterrupted sleep.